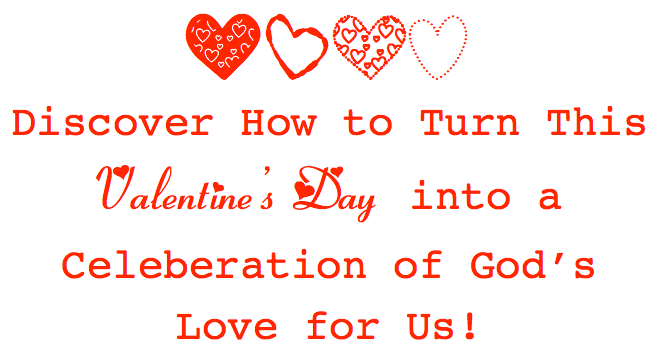 What better time to learn about God’s love for us than a holiday created to celebrate love? After all, what greater love is there than the love Jesus showed for us by dying for our sins on the cross? Unfortunately, many older children only see Valentine’s Day as being about romantic love and many younger children, who are not yet interested in romantic love, see it as a chance to get cards and candy. But the truth is Valentine’s Day can be about much more than either of those things … it can be about God’s wondrous love. 4 Biblical directions that you can take the “love” theme in your classroom! Expert guidance on how to turn Valentine’s Day into a learning opportunity – including numerous scripture verses that will help kids better understand God’s love for them! A Main Lesson and 2 Object Lessons that are grounded in the Bible and that will help you get kids excited about God this Valentine’s Day! 2 Games that will have kids laughing and enjoying themselves in no time! 4 Crafts that are fun and easy to do and that are sure to keep kids interested and engaged! 2 Snacks that are easy to make and that taste delicious! 2 Science Projects that will spark kids’ imaginations and really get them engaged in your classroom! And 2 catchy songs that your kids will be singing or humming long after that day’s lesson is over! Everything in this lesson pack is Bible-based and Valentine’s Day themed, creating the perfect opportunity for you to help your students gain greater appreciation of God’s love for them and to draw closer to Him. 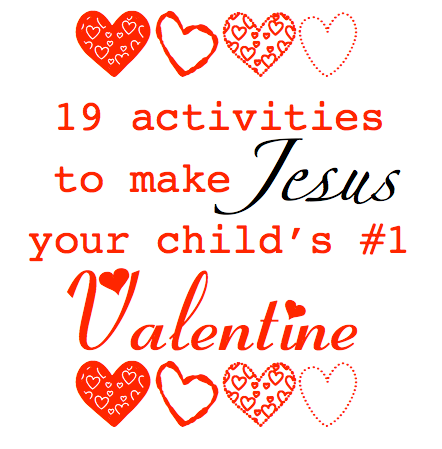 … which makes Valentine’s Day the perfect time to talk to kids about our love for God. 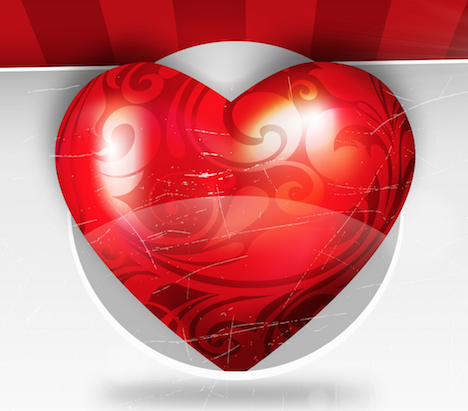 Valentine’s Day is all about love … it’s about commitment as well as warm and fuzzy feelings toward each other. If kids are going to understand God’s love, they need to understand that he feels for them the same feelings we feel for each other – only tons bigger. Love is fun. Love feels good. Any celebration of love should have God at the top of the list! With this lesson pack you’ll discover four exciting ways to put God first this Valentine’s Day. That it is better to give than to receive (and that’s what true love does)! Greater love hath no man than this, that he lay down his life for his friends! Putting others before yourself is a way of showing love! How to love God like the Ultimate Parent that He is! Four things about God that will help them begin to see Him as a trusted family member! How to create Valentine’s Day cards for God using actual Bible verses! That true love is a commitment not just a “gooey feeling”! How loving God will enable them to love others even more because of how He loves us! Why we’re all a little like paper cups – not worth much until we’re filled up with God’s love! How to love one another as God loves us! How to show Jesus we are thinking about Him this Valentine’s Day! Remember, Valentine’s Day is a great opportunity to get kids focused on the great feeling of doing unto others. Children are naturally self-focused. Games and exercises, like those included in this lesson pack, that make them put others before themselves can help build their “giving muscles” and help them start showing greater love to others. We’ve been hearing that God loves us since we first learned John 3:16. But what does it mean to love God back? More importantly, how can parents explain to their children that we really can love the Ultimate Being whom we can’t hear, see, touch or hug? As Valentine’s Day approaches, working with the 7-mini challenges found in this handout will help parents show their kids how to see God as loving, approachable, trustworthy and kind. The mini-challenges are not difficult and often just include helping children understand a certain concept concerning God and our love relationship with him. But if parents follow these challenges, they will soon find that their kids have a much closer love relationship with their creator. Because this lesson pack is available as an instant download and because its directions are so clear and its projects easy to teach and complete (we’ve even included complete teaching scripts so you can just follow along and teach the lessons without practice) you can start using this lesson pack immediately with little to no “prep time”! So don’t wait another minute, take advantage of our special money-saving offer and get our Valentine’s Day Lesson Pack today for just $7. That’s right, order now and you can have this entire lesson pack for just $7. 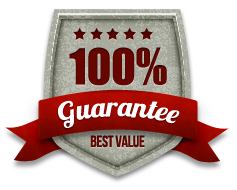 I am so sure you will love the Valentine's Day Lesson Pack that I’m offering a 60-day unconditional money-back guarantee. 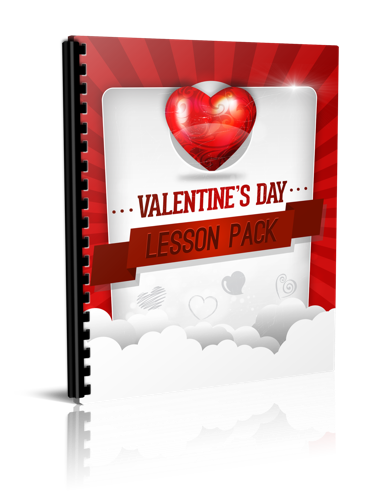 That’s right, order the Valentine's Day Lesson Pack now and if you are not completely satisfied with it, simply notify me within 60 days of your date of purchase and I will refund your money immediately. YES, I want in! I want access to your "Valentine's Day Lesson Pack”. Please give me INSTANT access to the material right now! P.S. Want your students to think of God as their ultimate valentine? Then get this lesson pack today! Order now. P.P.S. We don’t want kids today to miss out on the fact that God adores them, created them to enjoy Him, and looks forward to spending time with each of them! Get the Valentine’s Day Lesson Pack today to discover several great ways to get your students to love and trust God more! Order now.